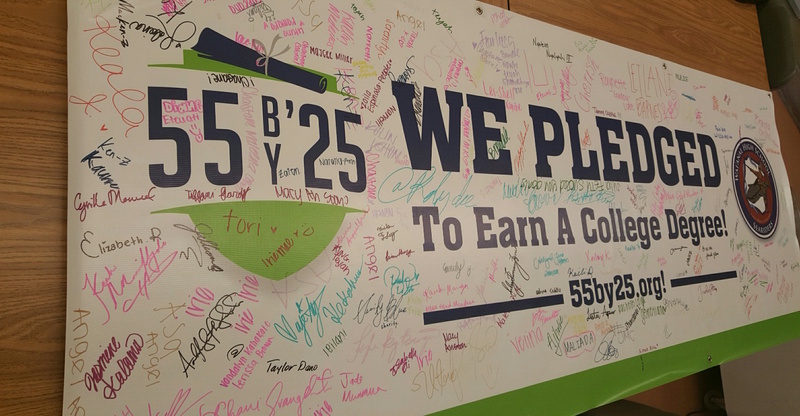 A total of 775 students, faculty and staff at Waianae High School pledged their support for 55 by ʻ25. 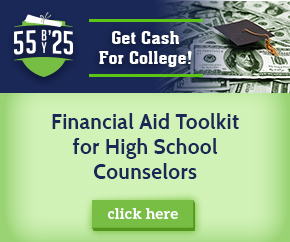 The campus-wide pledge drive was coordinated by the schoolʻs College Club with the support of Educational Talent Search, a college access program designed to help provide services to students for college readiness. Searider Productions, the high school’s video team, produced a PSA to generate excitement about the campaign that aired during their morning bulletin. 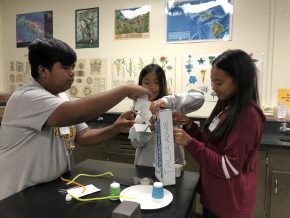 Several events were held on campus to encourage students to pledge including a lunchtime event where college t-shirts were given away and students signed an “I pledge to go to college” banner that will be displayed in the school’s college and career center.